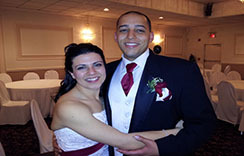 For three decades now, an energetic and polished A-Sharp DJ has been there for many happy Connecticut couples; we're anxious to be there for you. A-Sharp DJ will include all of the important items you want at your wedding. Customer service is our #1 priority. From pre-wedding consultation to final equipment placement every detail matters. 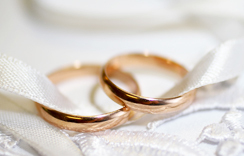 At A-Sharp DJ we cover all the bases with you for your wedding. 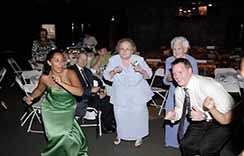 From the introductions with music, to your bouquet & garter, parent dances special dedications and closing song. A-Sharp DJ will include all of the important items you want at your wedding. A-Sharp DJ has a proven track record of satisfaction. At A-Sharp DJ, our mission is to deliver the bride and groom first-class entertainment guaranteeing a magical stress-free reception. For 30 years A-Sharp DJ has been there to fulfill this mission for thousands of couples. 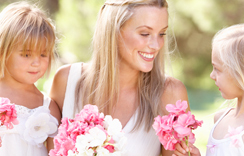 We provide individual attention to your taste and concerns at the pre-wedding consultations. Then on your special day we come properly attired, carefully coordinating and performing the master of ceremonies duties. We politely host an elegant reception with non-stop dancing. 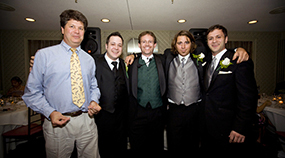 "We heard nothing but great things about the music that was played at our reception. We are so happy to have had you there amongst all our friends and family."